Our teambuilding session was held at Tanah Aina Farrah Soraya in Bentong, Pahang and came out with full team building from 23rd till 24th August 2014. A journey of love back to nature.. 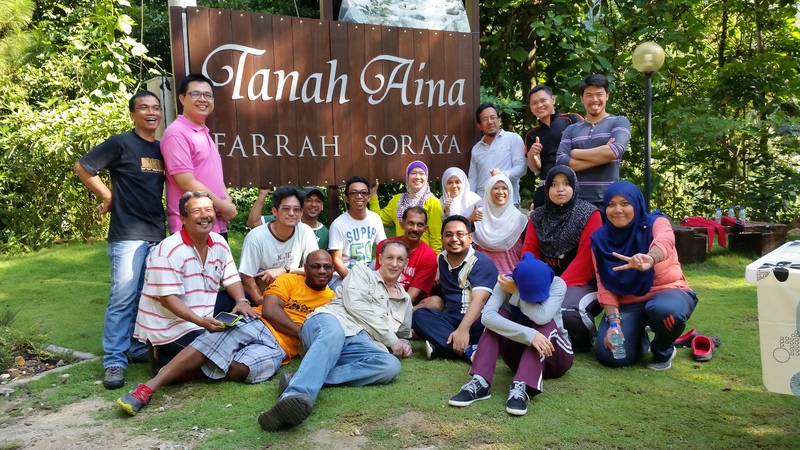 Briefly, this tagline has been used to show how Tanah Aina Resort offers an unforgettable authentic eco-tourism experience set in the deep rainforest jungle of Malaysia without guests having to entirely give up on modern comforts. The name ‘Aina’ in itself is taken from the name of the founder and owner who is an avid environmentalist. We had assigned to use a theme of Tribal Red Indian theme. The group has been divided into 3 groups; APACHE, BLACKFEET & CHEROKEE. It was clear that everyone enjoyed themselves and also contributed to our becoming better friends, better teammates and better colleagues. The creativity so many people showed, as well as the courage in taking on tasks we had never before done, was a great thing to see and participate in. We had so much laughter and good natured fun in a group. It was GREAT. 7.00am – Assemble at Daya Maxflo Office and depart by bus.